Red Fang, who releaseOnly Ghostson Oct. 14 via Relapse Records, have announced the first tour in support of the 10-song album, kicking off on Nov. 18 at Slim’s in San Francisco. Torche and Whores will support on all U.S. dates, Torche also joining Red Fang on their forthcoming European trek. The band has also premiered the first in a multi-part series of behind-the-scenes webisodes documenting its studio sessions forOnly Ghosts. The clip, which can be seen here: (https://youtu.be/s9iGDSevEHo), focuses on John Sherman and the drum tracks for the new album. Red Fang’s music is featured on Pabst Blue Ribbon’s new pinball machine, the Can Crusher, which was unveiled at San Diego Comic-Con. The machine, developed in partnership with Stern Pinball, Inc., features a retro game design with art by Dirty Donny. Ross Robinson (At The Drive In, The Cure, Slipknot) produced ‘Only Ghosts’ with Joe Barresi (Queens of the Stone Age, Tool, Melvins) mixing. New song, “Flies,” is streaming now:https://youtu.be/ywQ2dSFh4H4. Pre-orders are available at http://bit.ly/only-ghosts. 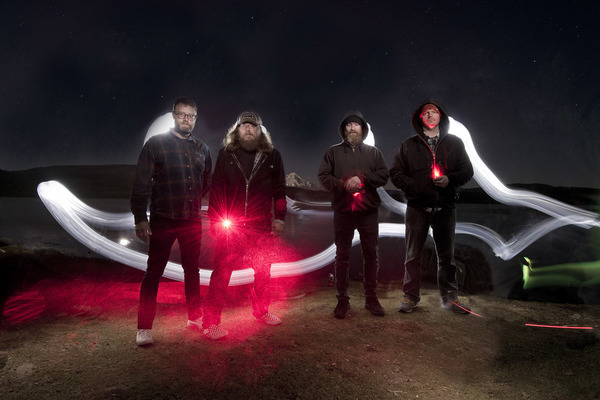 Red Fang have released three previous albums with the most recent being 2013’sWhales & Leeches. The 11-song album landed the band on The Late Show with David Letterman and in a world of trouble in the zombie-infused video for “Blood Like Cream,” which featured guest Fred Armisen (https://youtu.be/elfuaxHQWlQ).